Since 1991, Dr. Emam has been practicing preventive and cosmetic dentistry with a compassionate style in a state-of-the-art environment. She earned her Doctorate of Dental Surgery (D.D.S.) from San Francisco’s University of Pacific Dental school. She completed the advanced post-graduate residency program at UOP School of Dentistry where she also was an instructor. She is very passionate about dentistry and her patients’ care. In her spare time, she enjoys spending time with her family, Zumba, yoga, and reading. “Introduction to Orthodontics” Seminar from Progressive Orthodontics & Dentistry (March 2015). Attended multiple seminars and workshops at Spear Educational Center, the dental industry’s “leading provider of continuing education for clinical expertise and practice growth,” including “Demystifying Occlusion” (May 2014) and “Interdisciplinary Treatment Planning” (June 2014), “Implants – The Surgical/Restorative Connection” (December 2014). Member of the local branch of “Dr. Spear’s Study Club.” The club meets monthly and reviews topics including “Wellness in Dental Practice,” “Treatment Planning in Complex Cases,” etc. 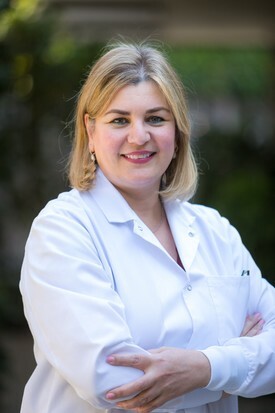 2009: Dr. Emam expands her dental practice and relocates to 850 Middlefield Rd., Palo Alto.